The Follen Church Society dates back to 1835, and the building to 1840. 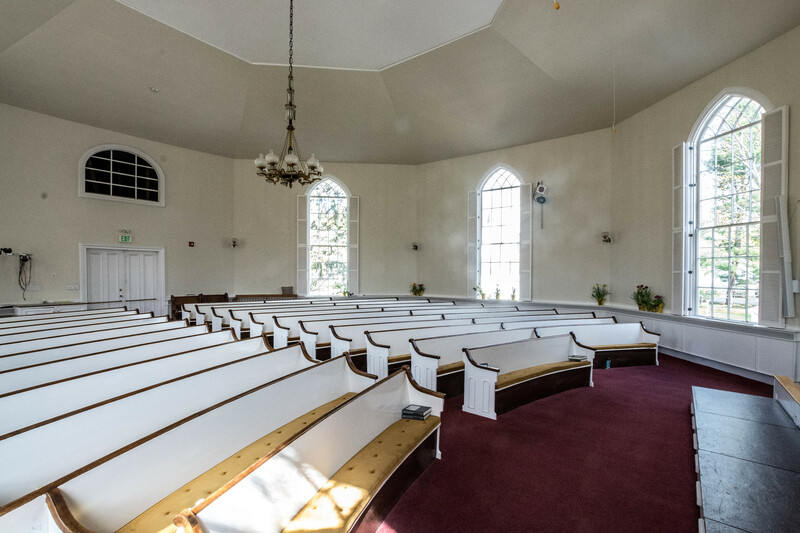 The white, octagon-shaped sanctuary is the oldest standing religious structure in Lexington, Massachusetts. 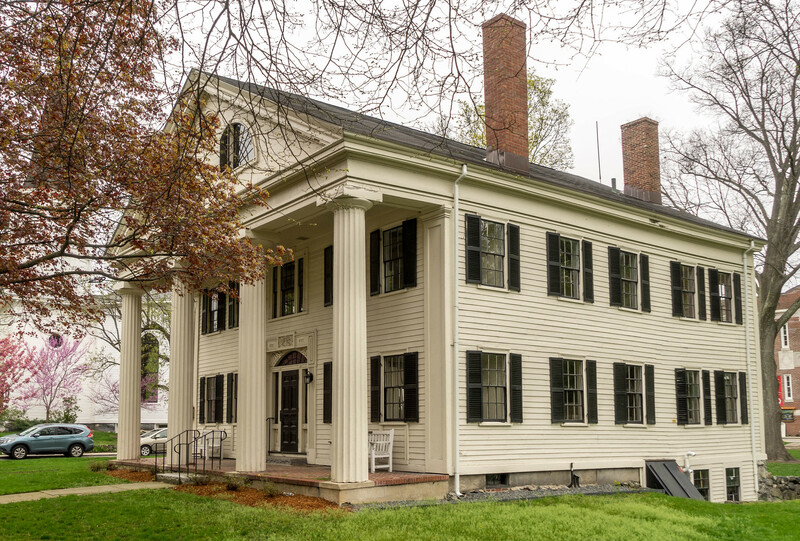 Ground was broken for the building on July 4, 1839, and it was dedicated on January 15, 1840—one day after the tragic death of its designer and first minister, the Reverend Doctor Charles Theodore Christian Follen. Dr. Charles Follen had trained for the law in his native Germany, but, fleeing political persecution in Europe for his radical organizing, he came to Boston. He was recommended to friends here by the Marquis de Lafayette, among others, and found a post as the first instructor in German at Harvard University. (He was also the first instructor of gymnastics.) Follen was a man whose deeply held spiritual beliefs led him to see action for social justice as essential. 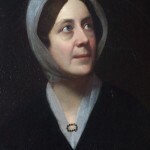 He soon began to study for the Unitarian ministry under the wing of the Reverend William Ellery Channing (famous both as a Unitarian theologian, and later as a voice for abolition). Follen met and married Eliza Cabot, of the noted Boston Cabot family. Together they were early, and outspoken, advocates for the abolition of slavery. 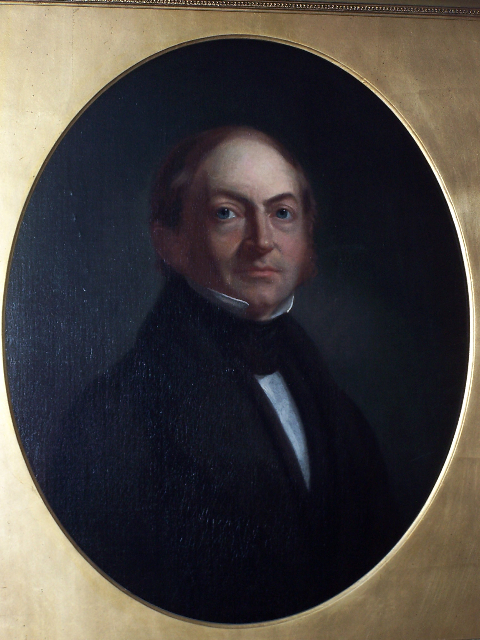 Follen ultimately lost his position at Harvard, due largely to his prominence in the New England Antislavery Society. 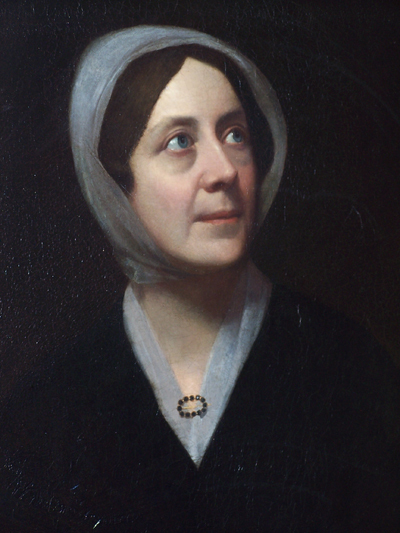 Eliza Follen continued to work for social justice until her death in 1860 (for more information, see the Boston Women’s Heritage Trail). At the same time as Follen was becoming settled in his adoptive country, the rural village of East Lexington was emerging as a center of manufacturing that was far more prosperous than the rest of Lexington. 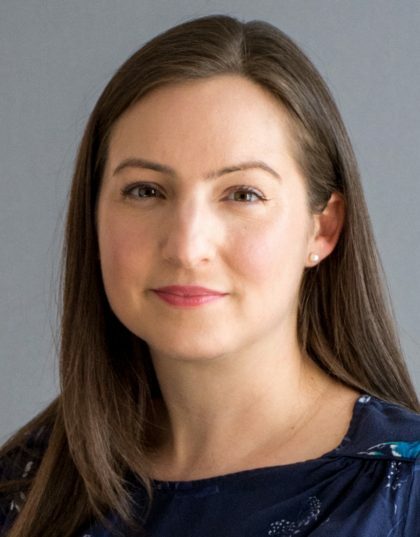 The East Village was also beginning to make what would become multiple attempts to become a separate parish, relieved of the responsibility of paying taxes in support of the church in Lexington center. The prominent Robbins family, who were leaders in the fur dressing and other industries in the village, shared a deep commitment to equality and anti-slavery with the Follens, a commitment that was highly unusual for its time in the early to mid 1830’s. In 1833, Eli Robbins commissioned the building next door (right; for many years the East Branch Library, now closed). Designed and originally used for Lyceum lectures, by the late 1840s the building welcomed anti-slavery speakers to whom other doors in town were closed. 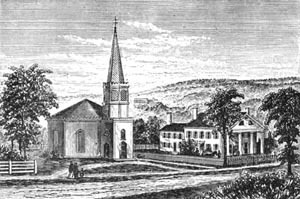 In 1835, the first religious services in the East Village were held in Robbins’ hall and Charles Follen was hired to preach. However, Charles Follen was only able to preach for six months. 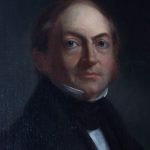 He was replaced by Ralph Waldo Emerson, who supplied the pulpit many times until 1838. Their salaries were paid by subscription from East Village families. [May] this church never be desecrated by intolerance, or bigotry, or party spirit; more especially its doors might never be closed against any one, who would plead in it the cause of oppressed humanity; within its walls all unjust and cruel distinctions might cease, and there all men might meet as brethren. 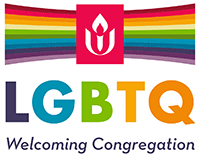 Follen’s Director of Community Engagement, Rev. Susanne Intriligator, used their paper and other research in a recent sermon. Read/Download her sermon on Charles Follen. Our octagon was designed by Charles Follen, who had studied architecture as well as law in Germany. He designed this sanctuary so that all in it could see and hear, and most importantly, be heard. Most churches of the time had a high pulpit, elevating the minister above the congregation. Follen, by contrast, put himself on an equal level with his congregants. The chancel in the sanctuary is raised now, but originally it was level with the pews. The octagon shape is designed both as an acoustical enhancement, and so that the congregation is gathered fan-like around the minister and in relation to one-another. Even some of our furnishings bring us into contact with our ethical and spiritual past. 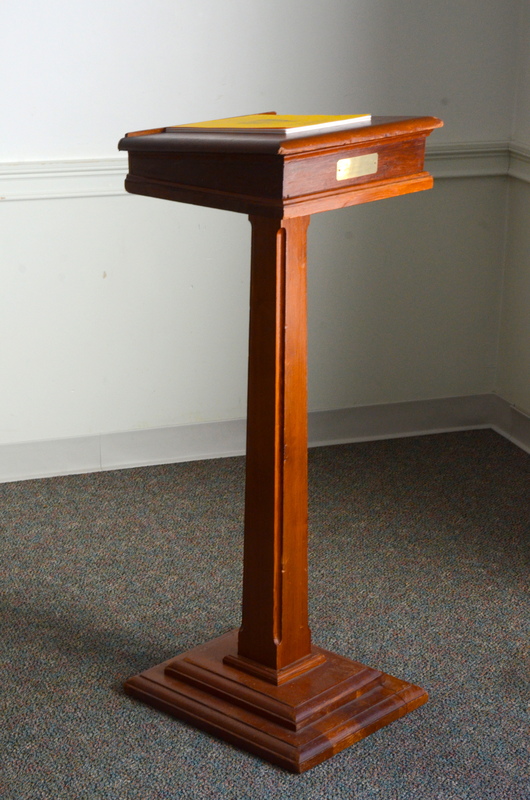 Our small lectern has a big history. 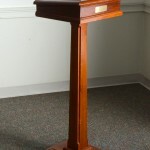 We call it the Emerson pulpit, because Ralph Waldo Emerson preached from it (next door) when he was our minister. From 1836-1838, Follen was Rev. Emerson’s last regular pulpit, before he left the ministry to become the leading light of Transcendentalism. He usually walked to Follen on Sundays from his home in Concord. He preached twice on Sunday, as was customary, and again there was often a lecture on Thursday evenings. After more than 170 years, Follen Church remains a vital part of its community, working in today’s world to honor the dreams of our founders.